Molecular analyses of nasal NK/T-cell lymphomas have shown the presence of EBV in a clonal episomal form, suggesting its involvement in tumorigenesis (39). EBV is present in essentially all cases. Whether or not EBV is the ultimate cause of nasal NK/T-cell lymphomas is uncertain. Zonal necrosis, vascular damage, prominent apoptosis, and hemophagocytosis are common features. In more than 60% of cases, the tumor cells are angiocentric and angioinvasive. The atypical cells can be a mixture of small, medium, or large cells, but most are large dysplastic cells with numerous admixed inflammatory cells (35). In NK-cell malignancies, the cells show expression of TIA-1, granzyme B, perforin, and FAS ligand, important elements in mediating massive apoptosis and necrosis. 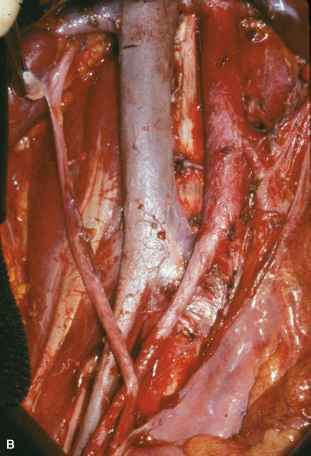 Since angioinvasion is not seen in all cases, the cause of necrosis appears to be more complex than just physical disruption of blood vessels. Nasal NK/T-cell tumor cells express some T-cell-associated antigens, most commonly CD2, but other T-cell markers, such as surface CD3, are usually absent. In favor of an NK-cell origin, cytoplasmic CD3, a normal marker of NK-cells, and CD56 are typically found, although CD16 and CD57 are usually negative. Molecular studies have not shown a clonal T-cell gene rearrangement in the majority of cases (40).